A dunk Michael Jordan should be proud of. Russell Westbrook is one of the most explosive players in NBA history. While he's often ridiculed for his aggressive style, it's paid big dividends for the Oklahoma City Thunder since he returned from injury late last month. On Sunday afternoon, Westbrook and the Thunder looked to continue their rise in the Western Conference standings in Detroit. 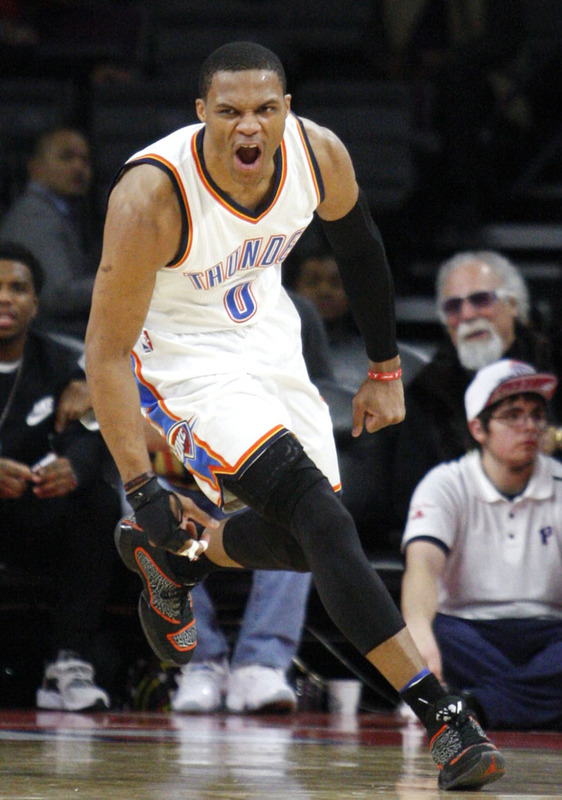 The Thunder turned in a lackluster performance, edging the 3-win Pistons by a score of 96-94. Westbrook led the way with 22 points, 7 assists, 11 rebounds and one of the hardest dunks we’ve seen this season. Later in the 4th quarter, Westbrook drove up the court, raced by Kentavious Caldwell-Pope and threw down a nasty tomahawk dunk over a waiting Josh Smith. He’s listed at 6’3” and 187 pounds, but you almost get the feeling that he could tear a backboard down. 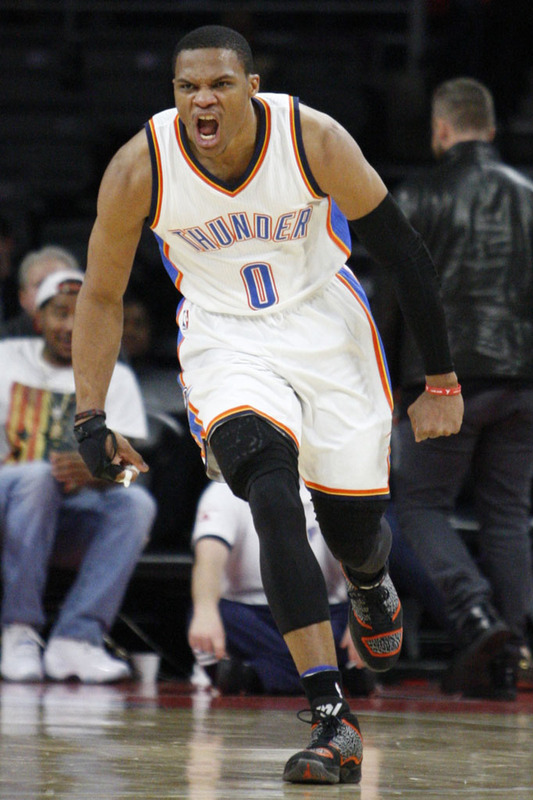 Making this highlight dunk even more special, Westbrook wore a new Air Jordan XX9 PE. The shoe looks like the launch ‘Gym Red’ colorway, but replaces the red trim with orange and features Westbrook’s logo on the tongue. 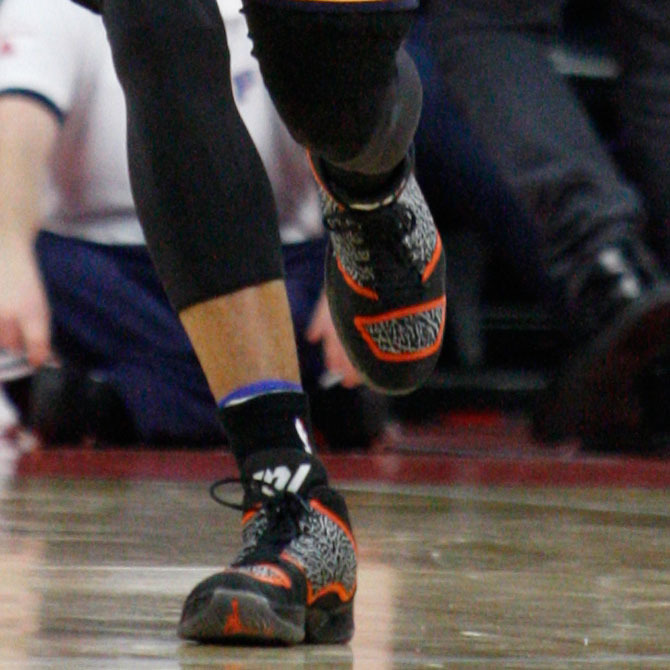 This is the third different Air Jordan XX9 PE we've seen Westbrook wear since returning. It makes sense that the fashion-forward All-Star has plenty of options in rotation. And of course, seeing Air Jordans involved in a poster dunk never gets old.